AFTER ALL, BOY CHOIRS HAVE ALWAYS BEEN THE PLACENTA OF HOMOSEXUAL ACTIVITIES. Vienna is one City of DEATHWALTZ. 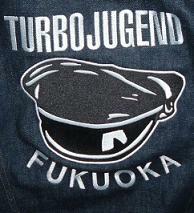 TURBOJUGEND SØNGERKNABEN WIEN are the sheperds taking care of all souls dedicated to eternal male friendship, rock, sweaty denim and superb intaking of toxics.